Need to Get Into Shape? Body & Soul Women’s Wellness specializes in women’s health and fitness programs designed to suit each individual needs and requirements. Small Group Personal Training takes place in a state of art gym overlooking the waves at City Beach. 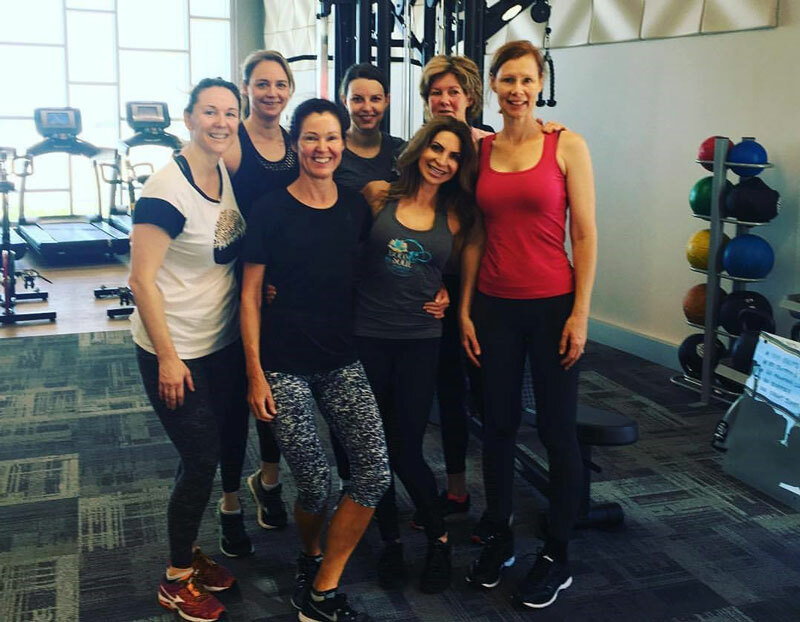 Choose to join one of the many Small Group Personal Training Sessions which take place every day at Body & Soul Women’s Wellness. Sessions run for an hour and are limited to only 4 ladies per group. Every program is individually tailored to each client and delivered in a small group setting for specialised 1-on-1 attention. Groups are specifically brought together based on their needs and abilities. I was scared of training in the gym after all my injuries and with my background as a physio; I never pushed myself out of my comfort zone in fear of injury again and so just never got any results! Helen was my lifesaver and pushed me safely and so effectively that I have come a very long way in a couple of short months. I have nothing but strong positive reviews for her skills, professionalism and her fun nature. I love my sessions!! I really enjoy coming to the gym when I know I’m training with Helen, she is a fantastic trainer, very supportive and bubbly. She motivates you to go beyond what you think your limit is and is a stickler for technique (which being a physio I love!!) The small groups are also really beneficial and without a doubt, I would recommend Helen to anyone. I love training with Helen at Body and Soul Women’s Wellness! She is an enthusiastic and dedicated trainer. I have been going to her twice a week for small group training for a few months. I love the small group environment (2-3 women max), where she tailors the exercises to each of our individual needs. She motivates me to push myself and brings out the best in me. I have lost weight, toned up and re-discovered my love of exercise again. I am feeling the best I have in a long time and its all thanks to Helen! I would highly recommend her to anyone looking for some personal or small group training. The location of the sessions is also a huge bonus.